Pinch Me! I am Martha Stewarts Dreamer Into Doer of The Week!! Yesterday on our bonus day I was named Martha Stewart's Dreamer Into Doer of the Week!! I am so honored! I am on an amazing journey and I can't wait to see where life takes me next. I am so happy to have such a support team of friends, family, and community! Thank you so much for helping me achieve my goals! Come on by and see the interview and feature! What a party!! After receiving the game "Candy Land" for Christmas my daughter was all about having a Candy Land themed 4th birthday party. 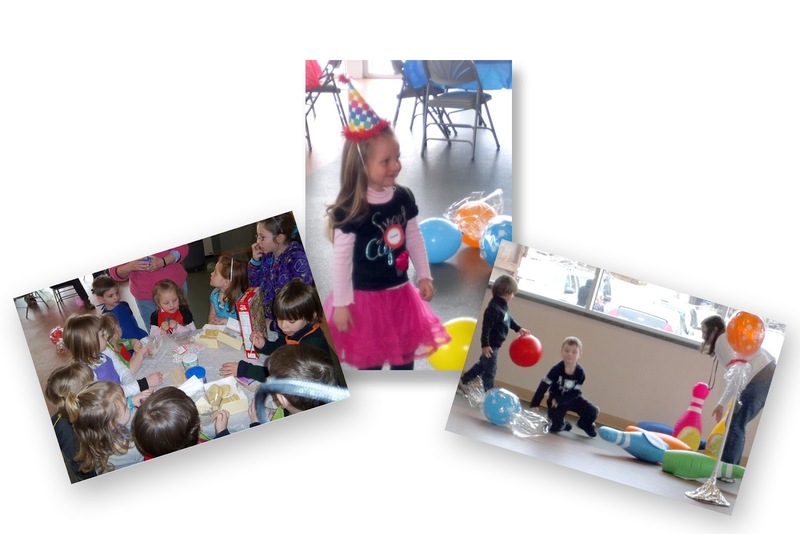 We had so much fun with the planning of this party! 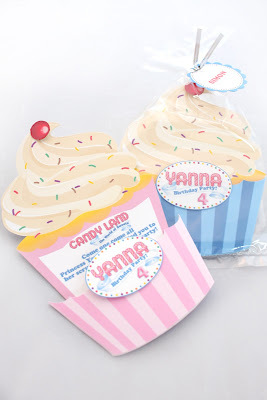 We sent out invites to her preschool class in the shape of cupcakes like the ones on the game. The cupcake came out of the wrapper to reveal the invite. Yanna and I got more excited as the RSVPs started to come in. 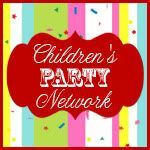 The party was officially on! 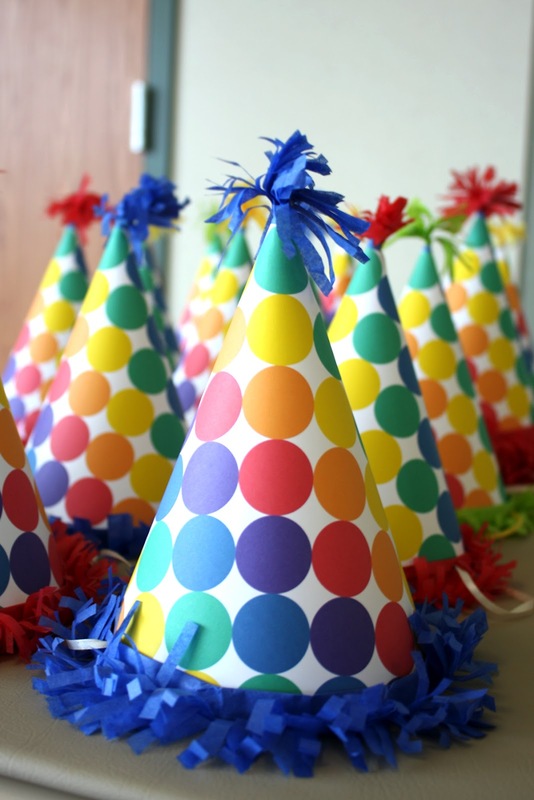 Although after getting involved in a number of other activities this month my budget for the party was significantly cut down for this party. So I knew that I would have to edit and really channel that DIY goddess from within. One of the best parts were the giant lollipops! 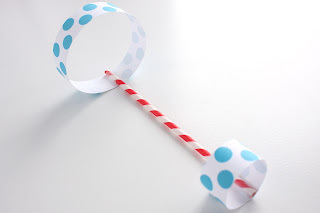 We purchased some really fun donut shaped balloons from Party City and picked up some PVC pipe from Home Depot. We attached the balloon to the PVC pipe and wrapped it with cellophane and some ribbon. We made the base out of cardboard and tin foil. Our livingroom looked hilarious with 15 of these standing all over the place. It was awesome to see the kids faces light up when they walked in and saw lollipops bigger than they were! 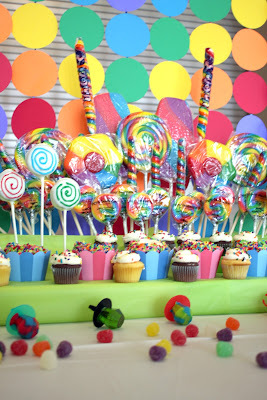 Each Lollipop ended up costing about a $1.00 a piece! My mother-in-law Jane and my mother worked side-by-side assembling these party hats that I designed. They were so sweet on the kids! Although, I have to admit, they didn't last long on their heads! Especially on the boys! 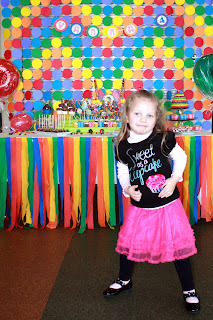 I was really inspired by a backdrop that I saw on Pinterest for a flamingo party. I had the 4" circle die for my sizzix ready to go and punched out circles to my hearts content. Jane was then put in charge of putting them up onto the strings. She may still be seeing spots today and may never want to see one again! While it was a little tedious to put together it cost about a total of $5.00!! What a bang for the buck!! I used the Candy Land Font for Yanna's banner. For food we did all sorts of things and one of the things that I learned about myself...I am not a baker! But hey, I am still learning in my quest of domestic goddessdome. My sister found an amazing bakery Just Baked and brought some delicious buttercream cupcakes. Jane helped me by putting together the cake so that we could decorate. 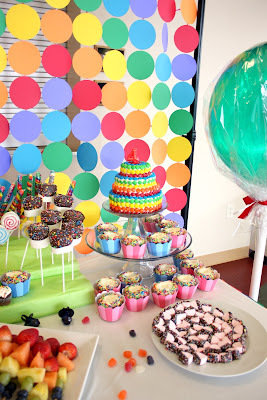 While I was going to dabble in marshmallow fondant we used the M&Ms that we had sorted. It ended up going together quite quickly! I went back to one of my favorite things making chocolates! We did giant chocolate dipped marshmallows, chocolate covered oreo cookies, chocolate covered hearshaped marshmallows, and these amazing cake pops made with crushed Oreos!! The kids seemed to really love everything including the fruit!! We of course had to make rainbow fruit kabobs! I am also really proud of the candy display. It was so easy. 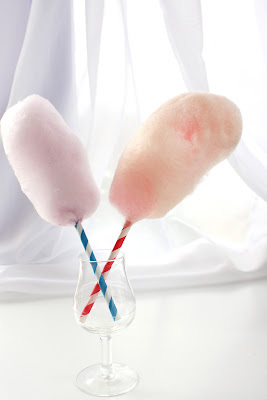 We tiered styrofoam that you would use for floral arrangements and made an arrangement of lollipops! All in all it was a total success!! 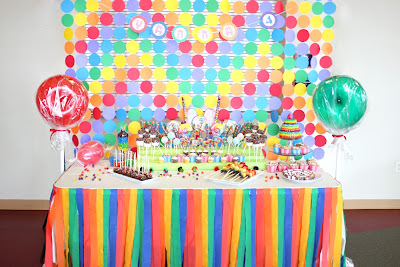 Granted next time I may hire a party planner and I will stick to the designing aspect to save some sanity. But I had such an amazing time for an amazing daughter, with my amazing family and friends!! Thank you so much I love you! 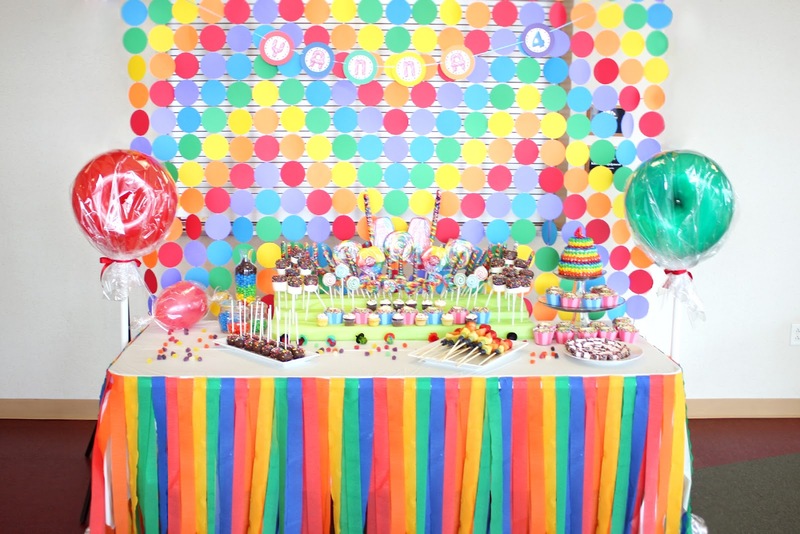 I will post some more pics soon with some tutorials on things like the backdrop, lollipops, display, and the song list that my sister put together with all candy related songs!! As always, Stay inspired and Stay Posh! Hugs!! Happy Fat Tuesday!! I hope that you Packzis were worth every calorie!! Mine sure were! 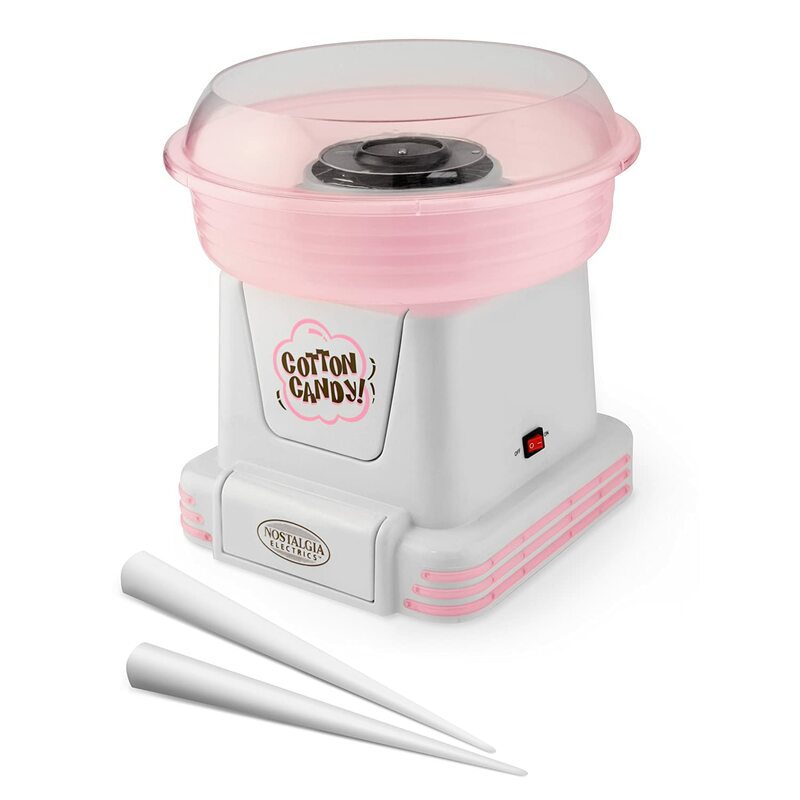 So needless to say, I have been playing with my Nostalgia Electronics Cotton Candy Maker (Oh, it works with sugarfree candy as well!) and I have been trying all sorts of things out. From making my own paper cones to of course using what I have like the paper straws I recently used for the gliders! Yet another great use for them! 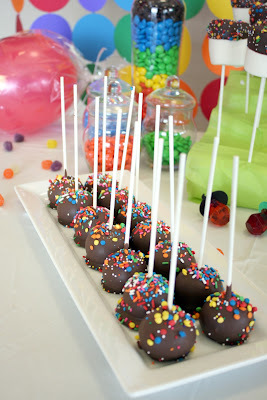 Then I put the cake pops that I was working with into the darn thing and look at what I got! Oh yes, cotton candy cake pops! Soooo happy! So stinkn cute! I also discovered something new. 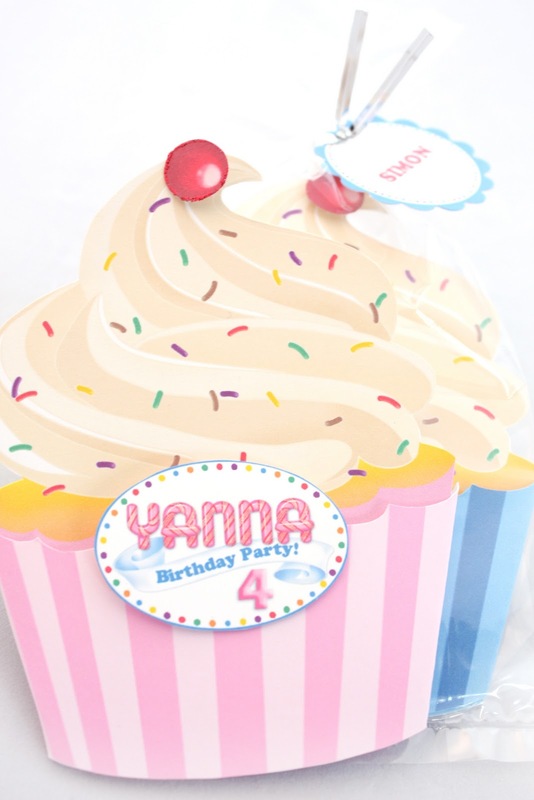 The cake pop stands are little funnels! I got a ton of them with this sand art kit for my daughter so now I have a use for them! Overall a good day if you ask me! Well, I shall continue play around with things! In the meantime, stay inspired and stay posh!! What do you get when you have two preschoolers, a biologist, a GM exec, a lawyer, and a graphic designer at a Halloween party at a science center making a paper plane with a straw? A bunch of adults acting like little kids throwing planes at one another while the preschoolers stare at them wondering what is wrong with them and then ultimately a free printable designed to share with everyone in time for Valentine's day...whew! That was a mouthful! 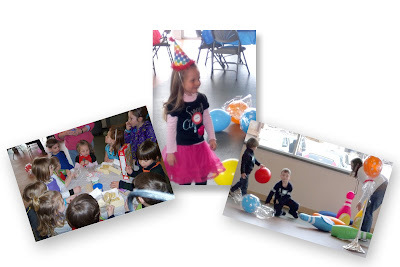 So in my quest to become a rock star mom, I took on planning Yanna's preschool Valentine's day party. My hubby outright said that I didn't have enough time to Mrs. Davis and I kicked him under the table and said that I would love to:-) But planning became a little more complicated than anticipated since I tend to sometimes make things rather complex and I had to think more in line with a 3-4 year-old. 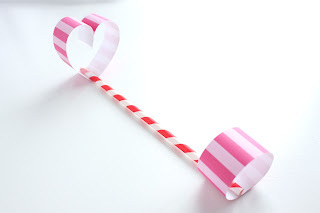 Plus so many projects for Valentine's day is geared to girls. 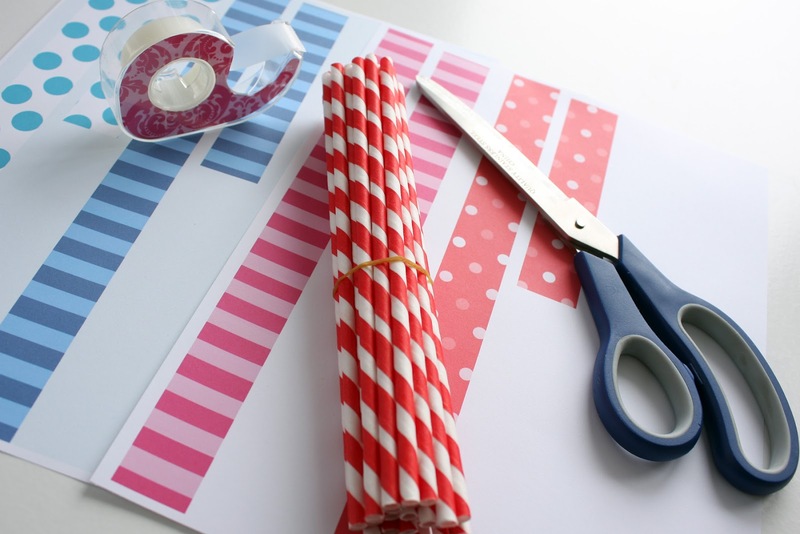 The other day my package from ThinkGarnish.com arrived for the Candy Land Party that I am planning for later this month and right on top were the paper straws that I ordered. I then remembered this project that I did at the science center! 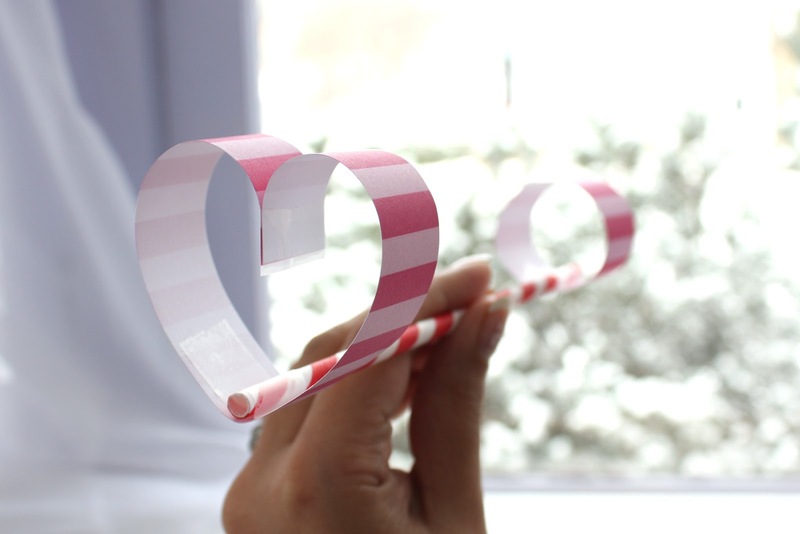 It is normally made with two loops, but I tried to make it more "valentinesy" (yes, that is a word!) by trying to do a heart shape in the back and it worked!! 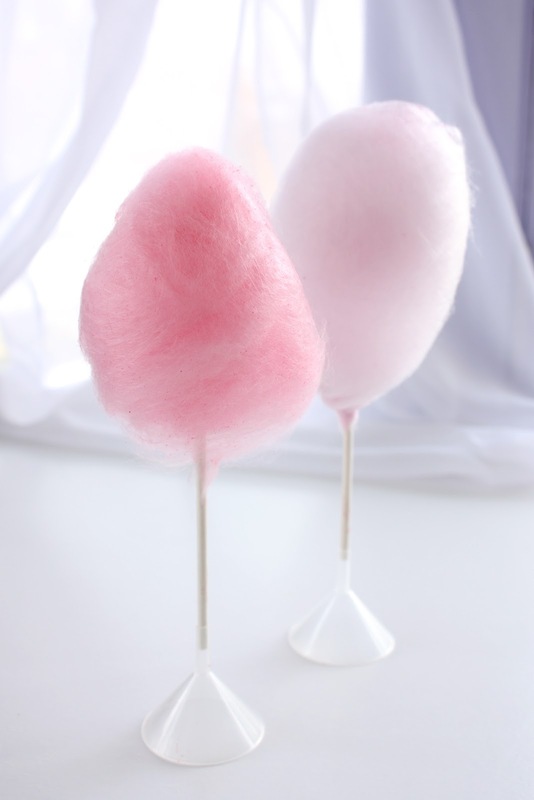 You have got to try this at home with your little one, or gee, do it even if you don't have a little one! Start out with downloading the Straw Glider Printable Template from my shop for FREE! I have instructions on the sheets now as well. Cut out the strips. You can cut these down as well and try out different sized loops. The big loops tend to glide the easiest while the smaller loops tend to go faster. 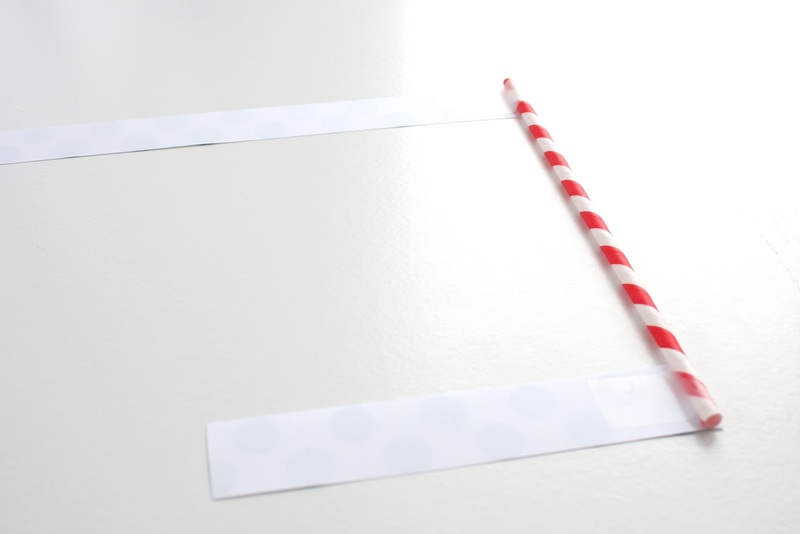 The the circular version tape strips to each end of the straw. 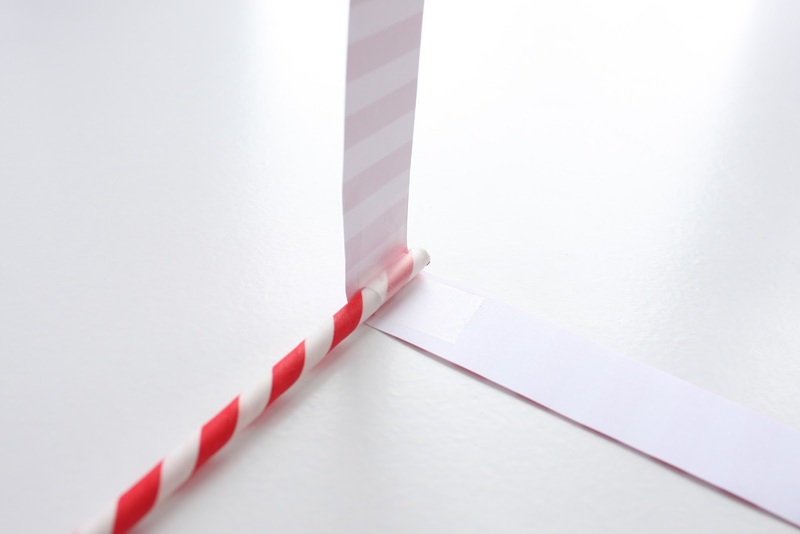 Roll the paper around, overlap edges and tape. Done! For the heart shape, fold the long strip in the middle and tape the straw to the middle. 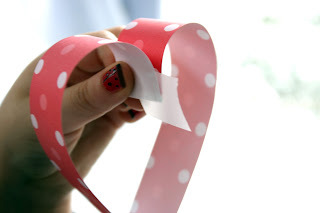 Curl the top around to form a heart shape and tape together. 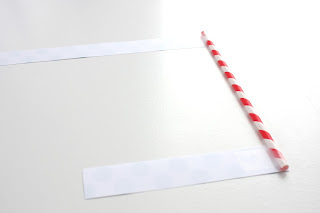 Add your front loop to the straw and Done!! Hold it like a regular paper plane and throw! I mean, how easy was that! You will be pleasently surprised at how well these things fly! I think that this is going to work out well for one of the projects! I hope that you enjoy them too! As always, Stay Inspired and Stay Posh! Eeep! We are going to have so much fun!! 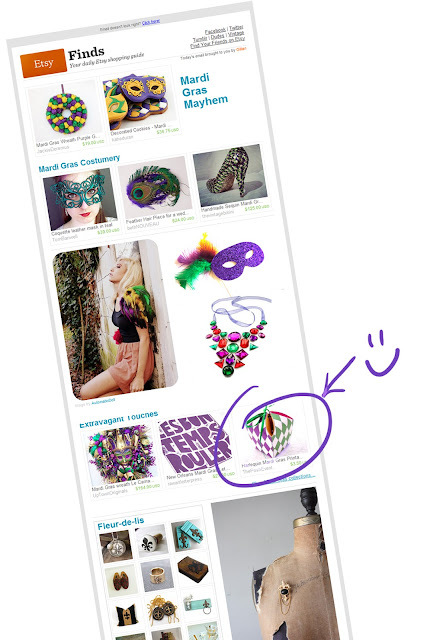 As you may know I have been building The Printable Shoppe site forever and a day. Then I wised up and hired Stephanie from Sweet Boutique Design. Best idea ever. It was so nice to talk to someone who knew what she was doing. I would come up with an idea for the site and she would tell me what it is called! She is great to work with and we came up with a fabulous site with all sorts of awesome features! 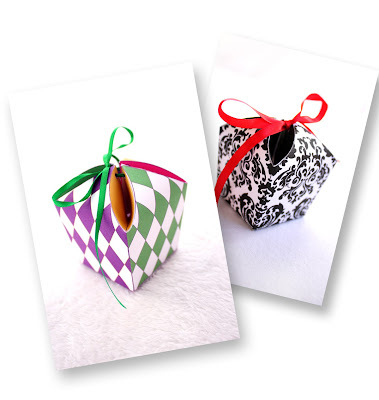 - All of the digital items have INSTANT downloads! There is so much more! Now I just have to fill the shop up. I am chugging away at it. Between the whole family being sick and my computer crashing, things got a little slow for a moment! But these are the joys of working from home! You will find new products in the shoppe everyday now. Our Etsy Shop is still in full swing. Stay tuned, we have some more fun news on the way! Always something to keep me busy!! But we are having fun! 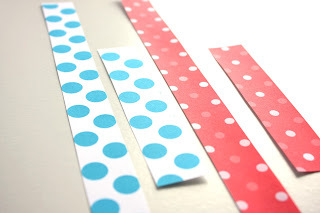 Stop by The Printable Shoppe and let me know what you think about it so far!